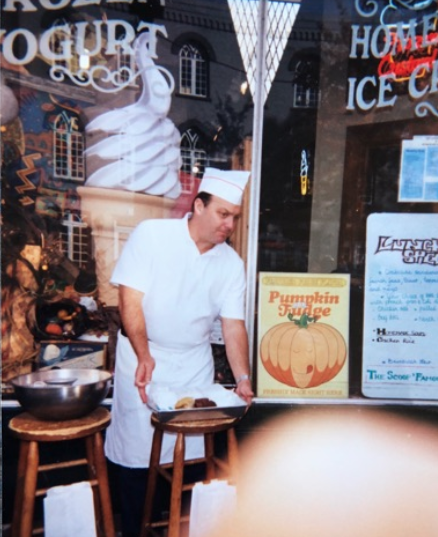 The Creamery is the oldest continually operated ice-cream shop in downtown Alexandria. Founded in 1984 by Charlie and Lynne Lindsey, it remains to this day family owned. Our passion and cherished tradition for treating you to quality desserts continues. We will delight you with our signature handcrafted, small batch, old fashioned ice-cream, custards and other tasty treats. Our mission is to bring joy to all our customers. We Specialize in the Tastiest Traditional Ice-cream and Frozen Custard. For Real Alexandria Ice-Cream, Come to Us! We make the finest homemade ice-cream in Alexandria, using only the highest quality ingredients and made with our family recipes. We invite you try them all! At The Heart of Historic Alexandria! We are proud to be part of the dynamic and historic community of Alexandria, Virginia. Our shop is located in the very center of the sightseeing district at 110 King Street, just moments away from the Marina and City Hall. Check out our shop, it has atmosphere and attitude!